So yes, the game is coming out on December 3rd, as originally planned and yes, it will be available at the previously mentioned low, low price of INR 499, so there�s really no excuse not to buy one copy for playing and one NRFB copy for a keepsake, like someone I know is planning to do. Look at that price tag, so cheap it's pretty much asking everyone to buy a copy. See you guys in game in a few days time! Initial activation requires internet connection; Online play requires log-in to Games for Windows - LIVE and Rockstar Games Social Club (13+ to register); retail version requires disc in drive to play (unlimited installations for retail discs in most countries); software installations required including Sony DADC SecuROM, Adobe Flash, DirectX, and Microsoft's .NET Framework, Games for Windows - LIVE, and Internet Explorer. All your questions about the copy protection, install limits and other such requirements will almost definitely be answered in the FAQ, so be sure to read it all if you do have concerns. Software with copy protection methods like this are often referred to as being "DRM infested" is often viewed in a very negative light, and you can read about some of the controversy over it on Wikipedia, though you can understand why companies like R* feel the need to use it. As long as you're playing a legal copy you'll have nothing to worry about, except the fact that there is third party software running in the background. At least if you have a boxed retail copy there's no activation/install limits. We're bracing ourselves for a shitstorm of negative comments regardless. Feel free to fire away in our forums with your opinion on this. it would be insensitive (not to mention, asking for trouble) if the game is put on shelves less than a week after what is one of the worst terrorist incidents India has ever seen. this couldn't have come at a worse time for e-Xpress, considering the fact that the Indian launch of GTA IV PC is a spectacular record, marking the first time in the history of Indian game sales that a brand-new AAA title will be available for the cheapest price worldwide, selling for a scant INR 499, when the usual going rate for a new title averages between INR 999 (~ US ) and INR 1299 (~ US ). Let's hope the game does eventually get released in India so the fans don't remain game-less for too long. Thanks to GTA4.net for the heads up. Happy Thanksgiving everyone from Switch Designs and Thegtaplace.com. This mod will turn your flatbed truck into a Thankgiving day parade float. The flatbed comes with 3 different floats in one vehicle and they can be found driving around the outside of the Los Santos airport. Nothing new in any of them really, but you may like to read them, especially if you don't own a console version and haven't actually played multiplayer GTA IV yet. 1UP also added 8 brand new screenshots of GTA IV PC. You can check them out in the linked gallery. The other two are Super Niko and Get Sprunk. Rockstar's Social Club has received a nice new update today. A new design and nicknames have been added to the website. The friends system and a message wall will be added in the future. Rockstar Nicknames are our way of bridging the gap between Xbox 360� / Games for Windows� users and PLAYSTATION�3 users. Now, one unified Rockstar ID will enable you to interact with Friends regardless of which systems you all play on. Start by choosing a Rockstar Nickname to represent yourself. Pick the one you want before someone else does! This will be used as your primary display name in many areas around Social Club. Note that platform-specific areas such as game stats will continue to use your LIVE� Gamertag or PLAYSTATION�Network ID; however, many new areas such as the forthcoming Social Club TV (coming with the release of Grand Theft Auto IV for PC on December 2nd) and Message Wall (coming soon) will use Rockstar Nicknames so that you and your friends can find and interact with each other regardless of which systems you own or play on. Read more about friends, nicknames and Social Club 1.1. Just a small update to the previous announcement that GTA IV will be sold via Steam, an online game distribution service. It is now possible to pre-purchase GTA IV and if you do so, you will get Grand Theft Auto: Vice City for free! If you already own Vice City on Steam, you will be able to give your free copy to a friend, possibly as a way to get them into the series. Rockstar have officially announced the downloadable content now by way of a press release. The press release gives a few more details in addition to what had been disclosed to USA Today earlier. 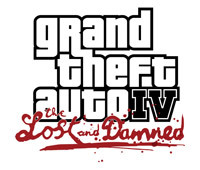 The Lost and Damned features a new main character and plot that intersects with the storyline of Grand Theft Auto IV; new missions that offer an entirely fresh way to explore Liberty City with new multiplayer modes, weapons and vehicles; and a diverse soundtrack with additional music - all with the incredible production values that are the trademarks of Grand Theft Auto. Not your typical run of the mill DLC here, seems like R* are packing quite a lot of stuff into this. The press release also confirms a 17th February release date, and states pricing information and more details will be announced "soon". Rockstar released alongside this the first screenshots of episode 1 of the downloadable content, The Lost and Damned. Of course it's running on the same game engine so no improved graphics or anything to look at. Also released was the logo for the episode, click that thumbnail for a stupidly high resolution version. GTA IV DLC announced: "The Lost and Damned"
An exclusive USA Today article has finally revealed some details about the upcoming downloadable content for the Xbox 360 version of Grand Theft Auto IV. The episode will be called "The Lost and Damned" and will be released (presumably worldwide) on 17th February 2009. You'll be playing as Johnny Klebitz, and if you recognise the name, it's probably because you do meet him in single player a couple of times during the game, after which he is never seen again. "The story is not directly impacted by decisions you took in the main game," he says. But "tons of details and mysteries from the main story get explained, so it will add a lot of color to the main story." [...] expects a price and says Rockstar could sell 2 million to 3 million downloads. 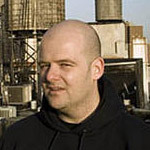 "I see episodic content as a natural progression of the quality of downloadable content." Rockstar have launched the PC section of the official GTA IV website. The screenshot gallery features two brand new ones which we've added to our gallery, click the thumbnails below for the full versions. The main bulk of the update is the announcement of R* Social Club TV. This is where all your video clip creations made using the video editor will be uploaded. The updated GTA IV website has a whole page detailing the features of the video editor, as well as 4 sample video clips and 9 screenshots of the editor's interface. So check out all the links in this post for all the information you need. Also, here are those two new screenshots. Good news for gamers wanting to quickly acquire Grand Theft Auto IV legally over the Internet without the hassle of going to a store, the game is to be sold via Steam. The game's page on the Steam website gives the 'unlock date' as being the same as in store release dates, December 2nd and December 3rd for the US and Europe respectively. Additionally, eight new screenshots were added to the Steam website, we've uploaded these to our own GTA IV PC screenshot gallery, go there or click the thumbs below to see the full screenshots. Spanish magazine Hispana has an array of new details regarding GTA Chinatown Wars. This is the same magazine that gave us details that the map would comprise of something similar to GTA IV - Dukes, Bohan, Broker, and Algonquin would be included, but Alderney would be left out. More details have arisen today following further translations of the magazine. Trains will pass overhead in the city, cars will circle, pedestrians will be walking, etc. Top screen brings you all the action, while the lower screen will let you control elements like the PDA, GPS, the radio, access to the people on the map, or using Motolov cocktails and grenades. On a related note that I forgot to mention in the GTA IV DLC delay news, Chinatown Wars has in fact been delayed as well and will not be out in time for Christmas. Instead, we can expect to see it released by the first half of the fiscal year, which ends in April. Our Chinatown Wars section is now open. You can now browse the latest news, features, screenshots and artwork. Thanks Evo for the heads up. The sixth annual Video Game Awards will be broadcast live on 14th December, Spike TV Sunday, at 9:00pm ET/PT from Sony Picture Studios in Culver City, CA. GTA IV DLC delayed until 2009? It seems everyone missed a bit of news that broke last week regarding downloadable content for GTA IV on the Xbox 360. As you were probably aware, a tentative release date for the DLC was before the end of 2008. According to the Gamespot article that brought this up, Microsoft said last month that the content would be ready before December 31 - nothing like leaving things til the last minute, though I'm not sure they meant actually releasing it then. Rockstar's Creative VP Dan Houser recently gave an interview to Variety, and the following is an excerpt from that, regarding the downloadable content. Variety: On another topic, I have to ask you about the "GTA IV" downloadable content you're doing. Do you still expect that to come out this year? Variety: Do you think you'll talk at all about what the DLC will be and how it will fit into "GTA IV's" story? Doing a big digital launch is something we've never done before. It's virgin territory, but at the same time, we feel very exposed because there's no case history. No one ever came out with major DLC for a major game like this before. It's new territory for everybody. We're making it up a little bit as we go along. That's always fun, but it makes you nervous. Good to hear they're focused on quality, which is always the case with Rockstar. The main point of the interview is discussing GTA IV's release in Japan, if you're interested (and it is actually quite interesting reading about the challenges R* face when releasing the GTA games there) you can read it in full over at Variety. In case you've missed any recent hands-on previews of Grand Theft Auto IV, you may like to check out Eurogamer's. There's no new information to be read but it goes in to detail about the video editing, filters and a couple of other new features. Worth the read if you've missed any of last week's previews. Rockstar Games yesterday confirmed the delay in releasing Grand Theft Auto IV for the PC. The important date for you to know is now 2nd December in the USA, and 3rd December in Europe. In other news, some people have been receiving their 100% Key to the City. the7th_number over at PlanetGTA got his, as did GuruAskew at GTAForums, you can see pictures in both their topics. Have you received your key? If you have, post over in our forums. Popular gaming website Kikizo have today published their Grand Theft Auto IV hands-on preview for the PC version. Well known for putting a hell of a lot of detail into their previews, Kikizo have once again written a great preview, cramming in all the details learned from their hands-on. Unfortunately though there's not really anything new to report. IGN's preview already covered the basics, while yesterday's preview by SPOnG focused on the powerful replay editor - something which Kikizo also talks a lot about, as well as all the enhanced graphical capabilities. One minor new detail regarding the video editor is the fact it can output videos at 720p, 1080p, as well as (presumably) a fairly low 'Web' resolution. Unfortunately it can only render WMV files, though Kikizo weren't able to test how well the rendering worked as the functionality was not available in the build they played. The article is worth the read, so head over to Kikizo and check it out. SPOnG have today released their preview of the PC version of Grand Theft Auto IV. Not really any new details worth mentioning here, however, they do quite in-depth about the new in-game video editor and how addictive it can be, in fact that's almost all they seem to talk about! Cameras have various settings � you can either choose from a list of preset views (a side or chest shot following Niko for example) or a custom camera where you can have some form of control over the angle. Using the �target� setting you can even focus your viewpoint on any character that�s present in the area, so you can change from a close up of Niko unloading a shotgun into a cop to a bird�s eye view following said cop flying backwards. Using multiple markers in the seek bar, you can even have a dynamic swooping camera; you just need to have two different locations and angles set, apply a Movement type and the editor automatically does the work for you. If this is something you're interested in then you should definitely read the whole two-page preview over at SPOnG. It's Oct 31st 2008 and Halloween is not over till I sleep! With that in mind I give you the Pumpkin Grenades. Have a great holiday from Switch Designs and The GTA Place. Download the San Andreas mod here.